The SC262 is the largest shredder-chipper in the MacKissic line. This machine will process material as fast as it can be fed into the machine. 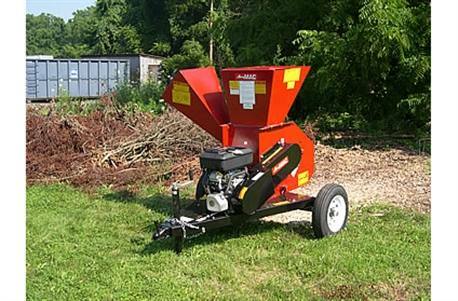 The shredder will pulverize leaves and yard debris turning unsightly piles into useful mulch and compost. 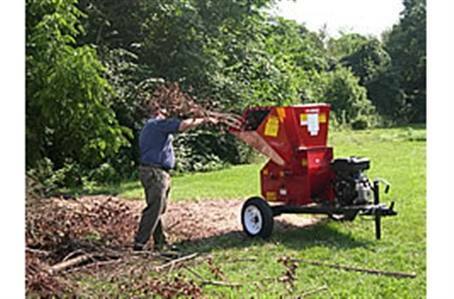 The chipper will practically self feed, reducing trees, branches, and saplings into thumbnail sized chips in a matter of seconds. This machine is built tough and durable. The SC262 features an internal anti-wrap sleeve to help prevent wet and heavy material from clogging the machine, thus reducing downtime and maintenance. The shredder has 48 free-swinging hammers that can be reversed four times! This reduces cost of replacement hammers. The SC262 is highway towable with a strong 7-gauge reinforced steel trailer with independent flexride suspension for smoother towing and less wear on the machine. The chipper has two heat-treated steel blades that are resharpenable and adjustable. Flywheel Weight (lbs. ): 49 lb. Chipper Hopper Opening: 19 in. x 13-1/2 in. Chipper Hopper Throat: 4-1/2 in. x 4 in. Flywheel Size: 18 in. x 3/4 in. Flywheel/Rotor Weight (lbs. ): 148 lb. Shredder Hopper Opening: 23-1/2 in. x 21-1/2 in. Rotor Weight (lbs. ): 148 lb. Storage Space (L x Wheelbase x H): 80 in. x 60 in. x 63 in.